In 2013, shortly after Bashar al-Assad’s government murdered hundreds of Syrians in the Damascus suburbs with sarin gas, Russia decided to make itself useful. President Obama had just let Congress kill his plan to retaliate against the Assad regime militarily. Then Putin’s government offered the Americans a way to eliminate the threat posed by Syria’s chemical weapons diplomatically. Together, the former Cold War foes brokered an agreement with Assad, which required him to forfeit some 1,300 tons of chemical weapons — ostensibly, his entire stockpile. This deal allowed Russia to play the part of a normal, major power in the global system — one capable of nudging a client state into greater compliance with international norms. It was boon to both Washington and Moscow. 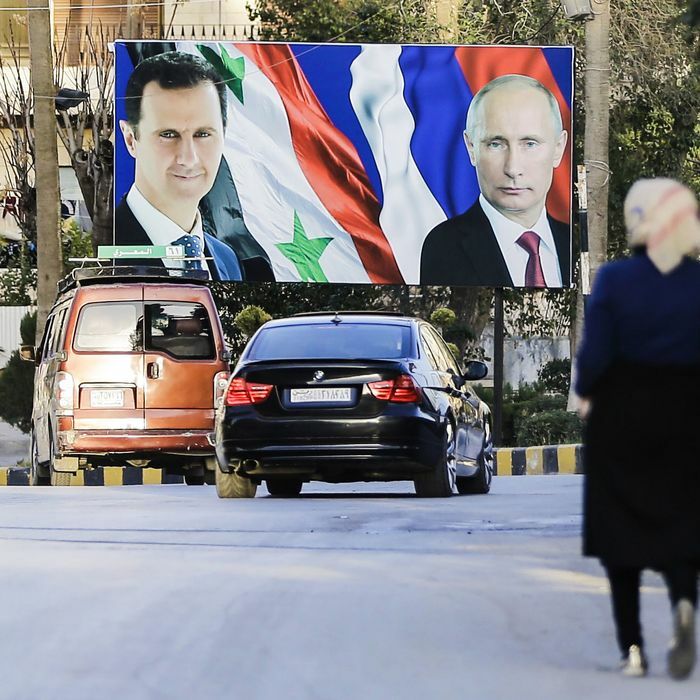 Assad’s apparent gas attack in northern Syria last week has radically diminished that 2013 agreement, and with it, whatever credibility it might have provided Putin on the world stage. The United States has concluded Russia knew in advance of Syria’s chemical weapons attack last week, a senior U.S. official said Monday. The senior official said the U.S. has no proof of Russian involvement in the actual chemical attack in northern Syria. But the official said the presence of the surveillance drone over the hospital couldn’t have been a coincidence, and that Russia must have known the chemical weapons attack was coming and that victims were seeking treatment. However, there does seem to be a general consensus that Russians routinely worked at the Shayrat air base where the attack supposedly originated, and that chemical weapons were stored at that base. One should always take the word of anonymous officials with a spoonful of salt, and it is difficult to comprehend the motivations of Russia and Syria in the AP’s narrative. Why would Assad jeopardize a status quo in which the U.S. was reconciling itself to his regime’s survival by killing his people with the one kind of weapon that had previously led America to the brink of intervention? Why would Russia consciously allow Assad to do so? Perhaps, homicidal regimes are not as rational as we might imagine them to be.